Tired of distracting noises in your office? C3 can provide you with a sound masking system to block out unwanted phones ringing, text messages and coworker discussions. 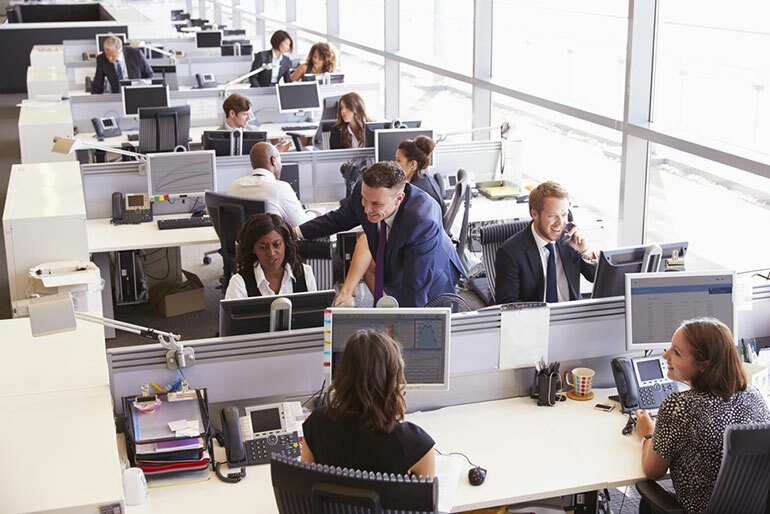 A modern white noise generator can reduce background noises in your office. Don’t lose your employees to their headphones when you can create the comfortable level of silence an employee needs to contribute to a productive day. Don’t add stress to the work environment with avoidable distractions that can be reduced with sound masking. A white noise generator is commonly used in schools, open offices, hospitals, banks, and call centers. The sound contains a blend of audible frequencies that are equally distributed across all frequency bands. These frequencies provide a sound that masks or drowns out potential distracting noises. During construction or renovation of your next office, you can save money with sound masking. Sound masking systems require less insulation for office space, require fewer walls, and less expensive sound reducing floors and ceilings. A C3 sound masking system can increase productivity and decrease errors. Research suggests a 40% loss in productivity and 27% increase in errors due to insufficient sound masking in open-offices. With increased productivity and a reduction in errors, the saving will become clear. It will also lower the stress load on employees, customers or patients.